I am one of the roughly 800,000 furloughed federal workers. I work in Washington, D.C., as a presidential management fellow doing congressional affairs work with the Office of Surface Mining Reclamation and Enforcement, which is part of the Department of the Interior. People may better know it as the agency that runs the national parks. I commute the 600 miles into D.C. each week for work. Previously, I worked for former Speaker Boehner in his Ohio district offices. Rep. Mark Meadows, leader of the Freedom Caucus, said when this shutdown began that federal workers signed up for this. Meaning, to be sent home or forced to work without any idea when they get paid again. Rep. Warren Davidson supported the legislation that put federal workers on furlough. In fact, from where I sit, this is the second time in less than three years Davidson has put this disabled veteran in the soup line. For someone self-proclaimed to love soldiers with a “soldier’s passion,” he must not mean veterans in that considering he is referred to us as “moochers” (2016). Davidson sent me a reply to a letter I sent him as the shutdown began. The response reads in part, “Funding for remaining federal agencies, compromising roughly 25 percent of discretionary spending, was extended until December 7, 2018 and again until December 21, 2018.” I am left to assume that the agency responsible for inspecting coal mines in the United States ensuring they are following regulations and safety standards is a “discretionary” agency and as such, I am a discretionary employee. Again, Mr. Davidson does a fantastic job at marginalizing his constituency. Davidson also said our soldiers are getting paid. That statement is only partly true. The Coast Guard is part of Homeland Security, and as such, they are not getting paid. But wait, that is just another part of “discretionary” spending. I could not imagine looking at a member of the Coast Guard and telling them that they are discretionary spending and don’t worry, the VA, DOD, health care, and Social Security are still operating. On behalf of the federal workers that are furloughed, and those of us that have missed and are scheduled to miss our next paydays, I want to ask my member of the House of Representatives a simple question. What is your plan to get us discretionary employees back to work so we can inspect food, protect our borders, protect our environment, protect our airports and the safety of our air traffic, and fight wildfires? Wait, for this being discretionary spending, 420,000 of us are still working in high-risk occupations without pay. 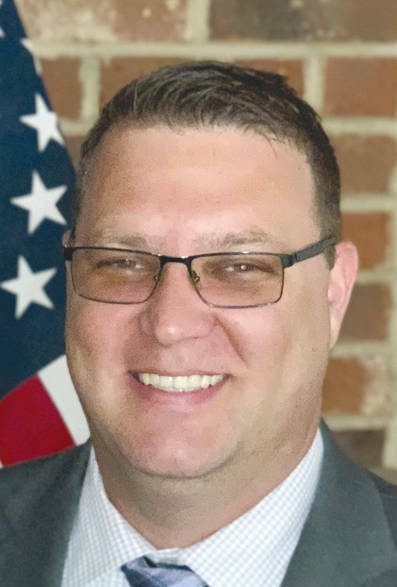 Tristan Weis, of Troy, is a veteran of the United States Army, a former staff member of Speaker John A. Boehner, and a current Presidential Management Fellow. He has a graduate degree in Marketing and Communications and is studying for his doctorate of Business Administration.